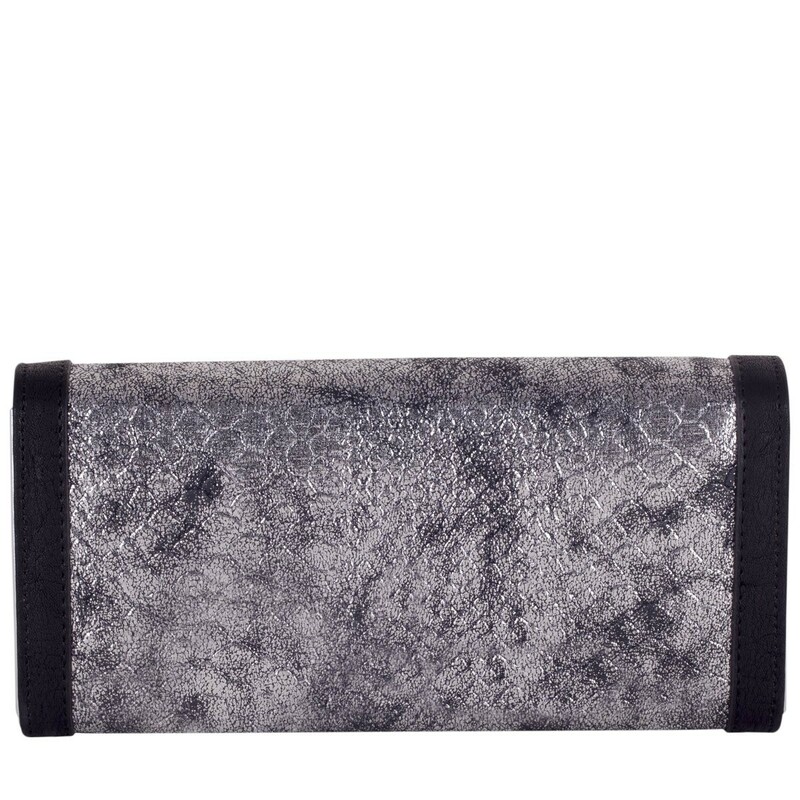 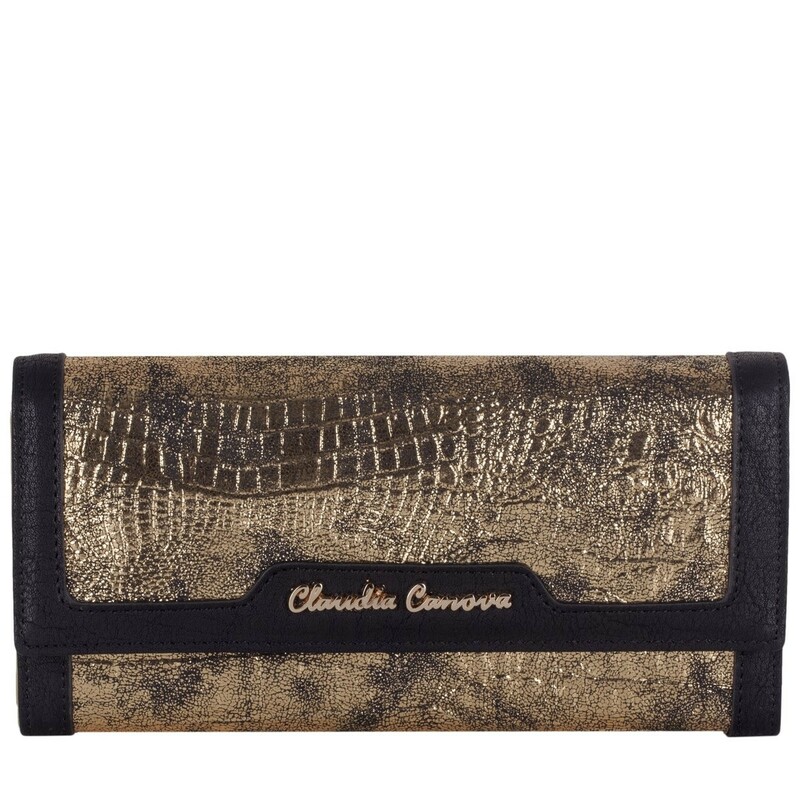 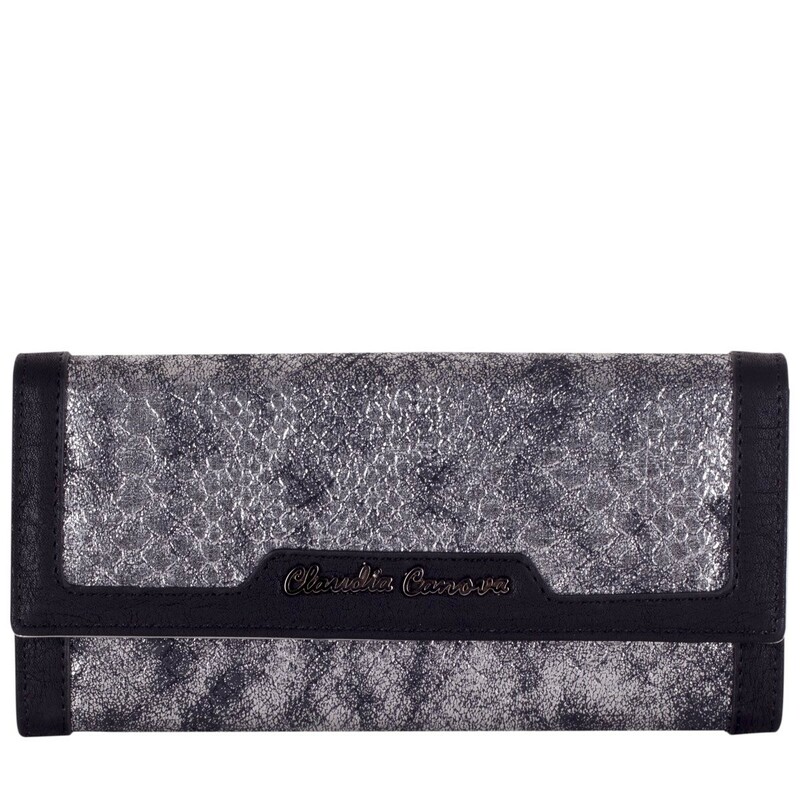 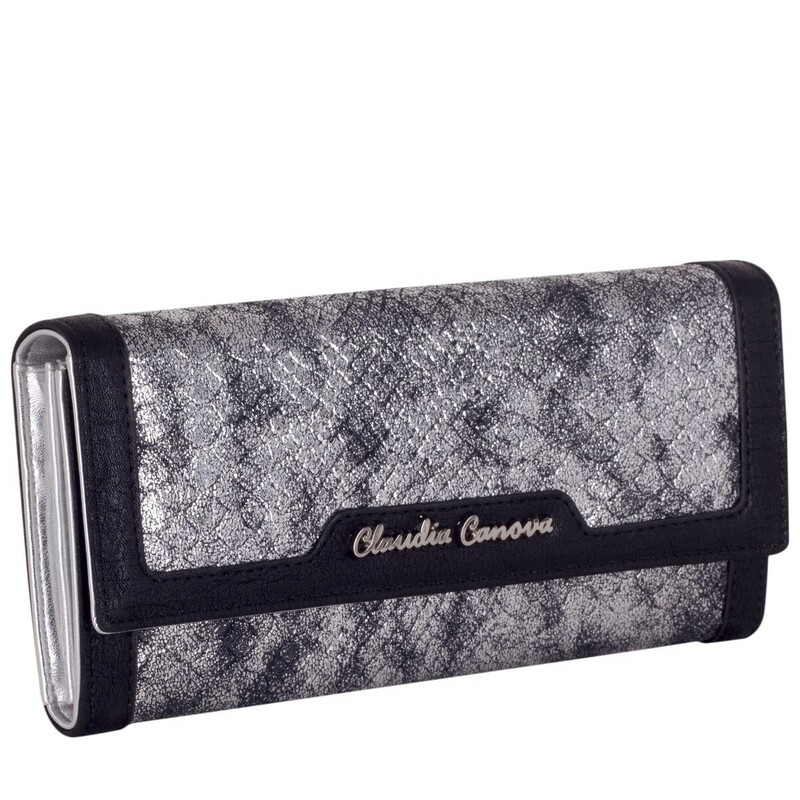 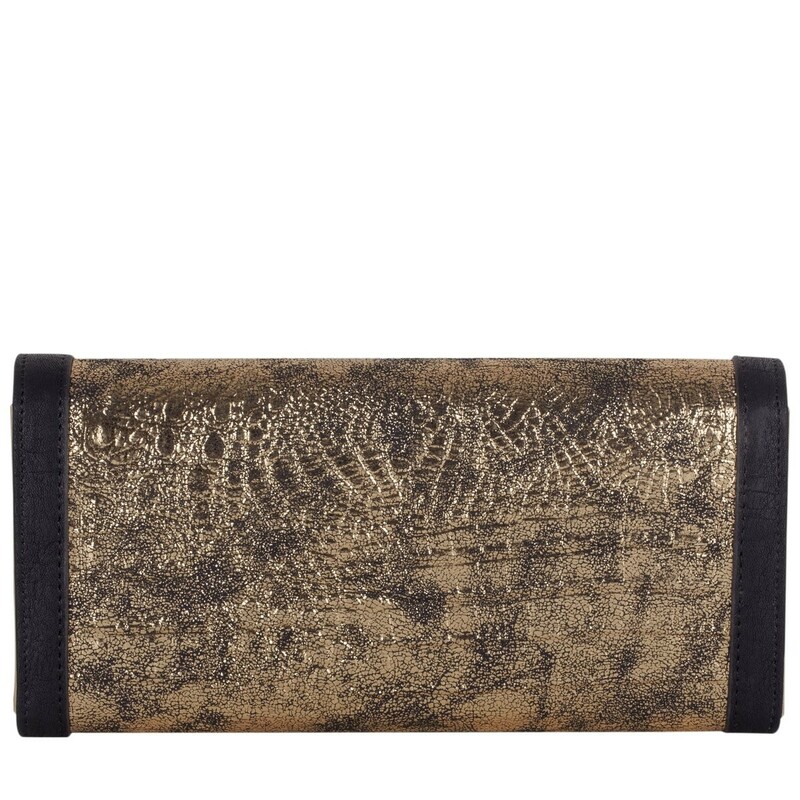 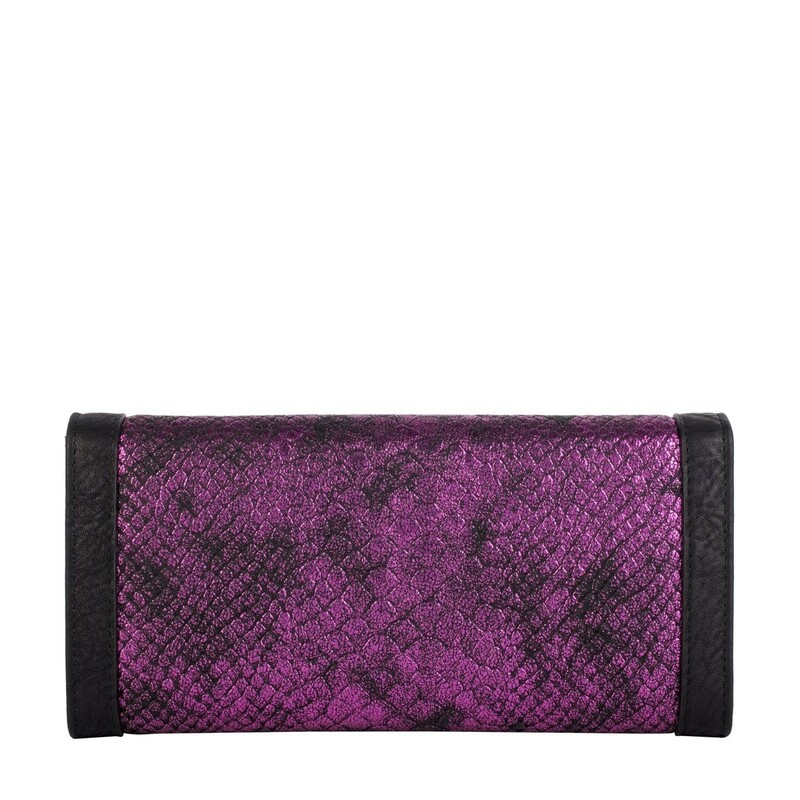 Add a touch of glamour with this metallic snake printed PU purse. Trimmed with a black PU, It has a flapover and snap closure with our signature branded logo plate on the front. 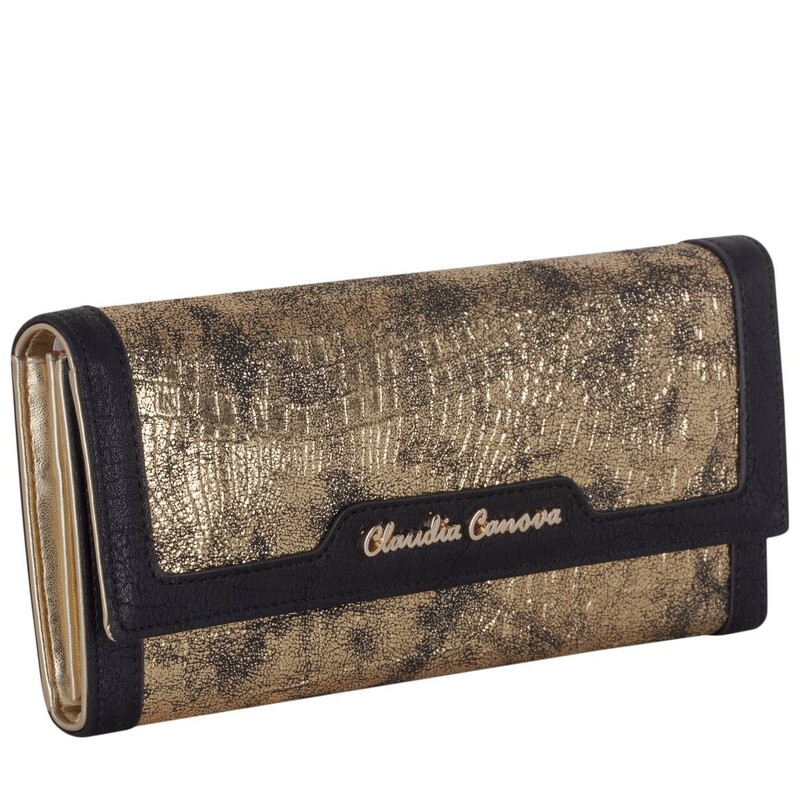 Inside is metallic PU and there are many sections to fit all your notes, cards and a zip section for change. 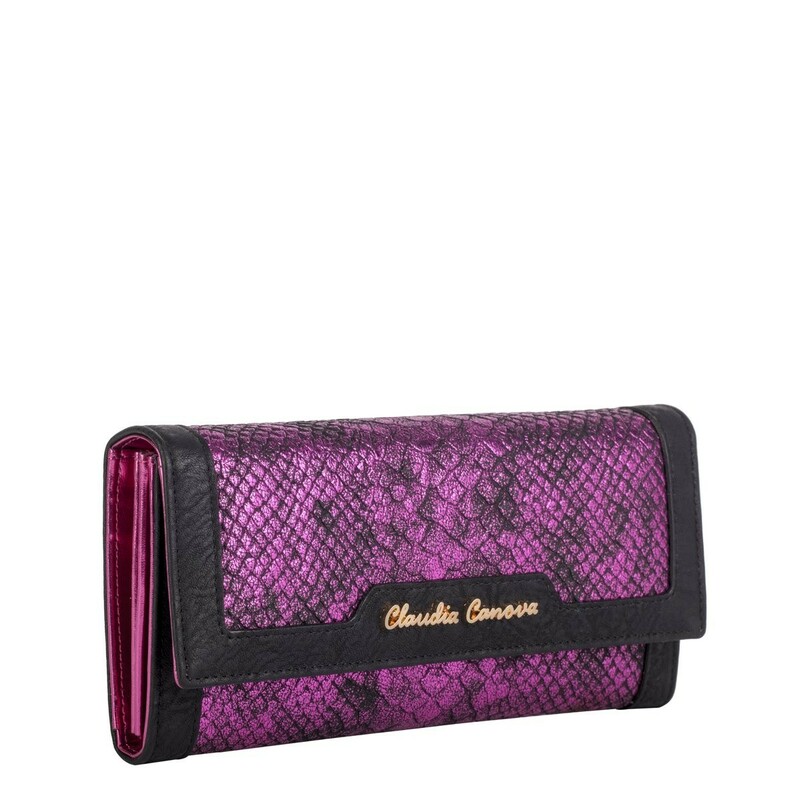 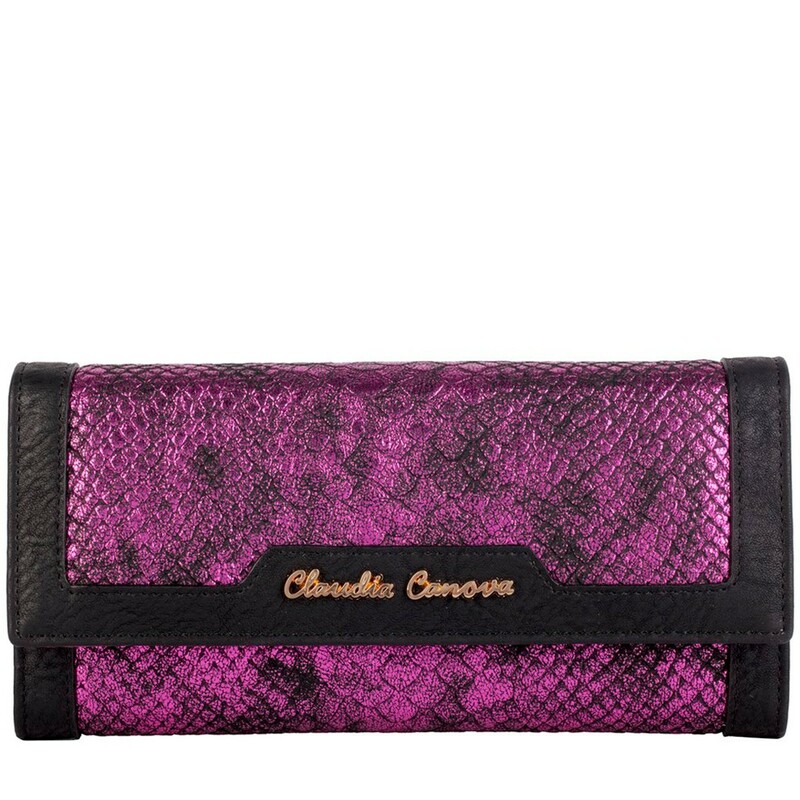 Finished with our Claudia Canova branded lining in fuchsia.